Answer all of the below trivia questions correctly and you could win a digital download code of the 1999 cult classic The Blair Witch Project from Lionsgate. All entries must be sent to amused0472@gmail.com by 11:59 P.M. EST on November 3, 2014 to be eligible. The winner will be selected randomly from all correct entries timely submitted. Please include your full name and mailing address with your entry. Winner will be contacted by November 8, 2014. 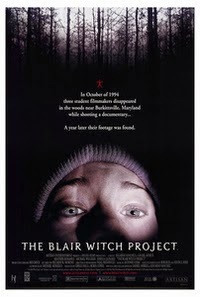 How long did it take to shoot The Blair Witch Project? What horror novelist bought out an entire showing of the film 28 Days Later (my personal favorite horror movie) in New York City? What was the first horror film to be nominated for a Best Picture Academy Award?